Spokane’s first Jewish services were held in a private home in 1885. 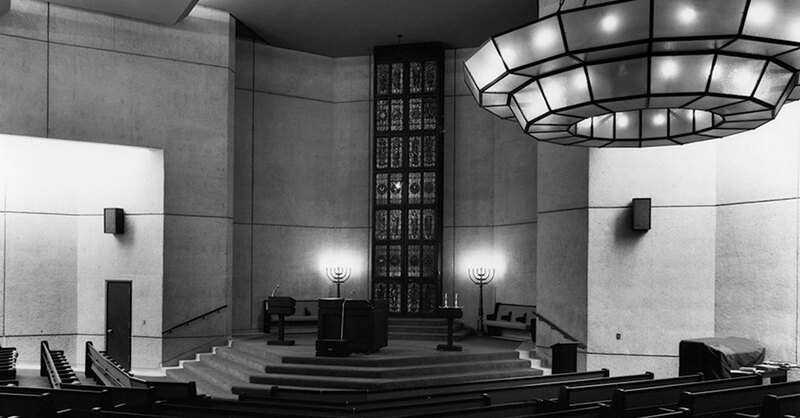 Five years later, the Jewish community met to organize a Reform congregation called Congregation Emanu-El. On September 14, 1892, they dedicated their synagogue, Temple Emanu-El, the first in the state of Washington by four days. A second congregation, the Orthodox Keneseth Israel congregation, was formed in Spokane in 1901. 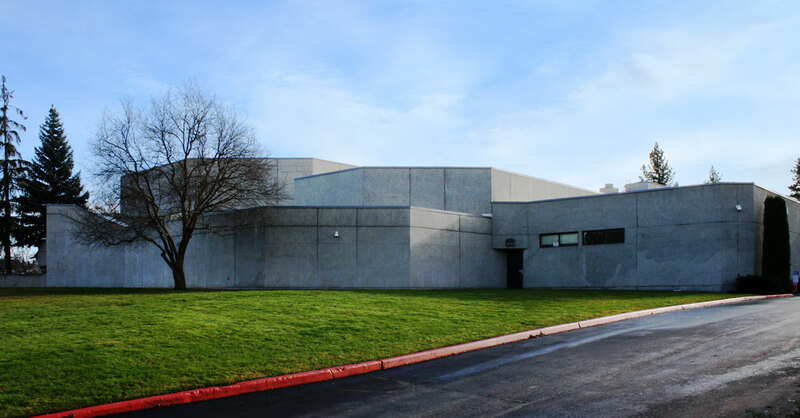 The two congregations met in 1966 and announced that they would merge and build a new synagogue on the South Hill: Temple Beth Shalom. 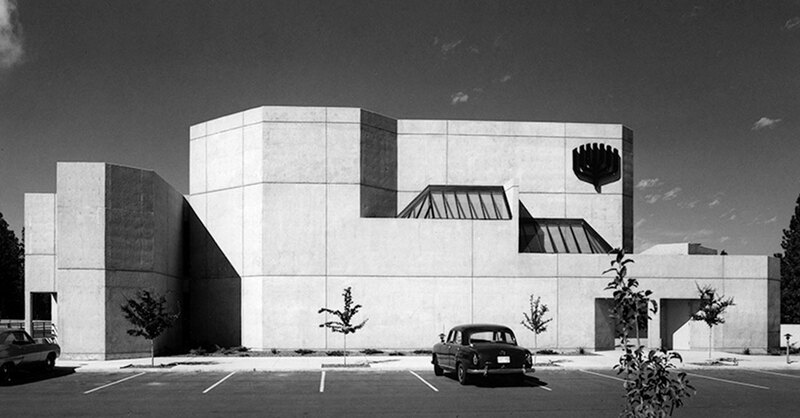 It remains the center of Spokane’s Jewish community today. The temple itself is a Brutalist building – a style of architecture popular in the 1960s and known for its stark, monumental forms; three-dimensional, sculptural appearance; and the use of heavily textured, often board-formed, concrete. 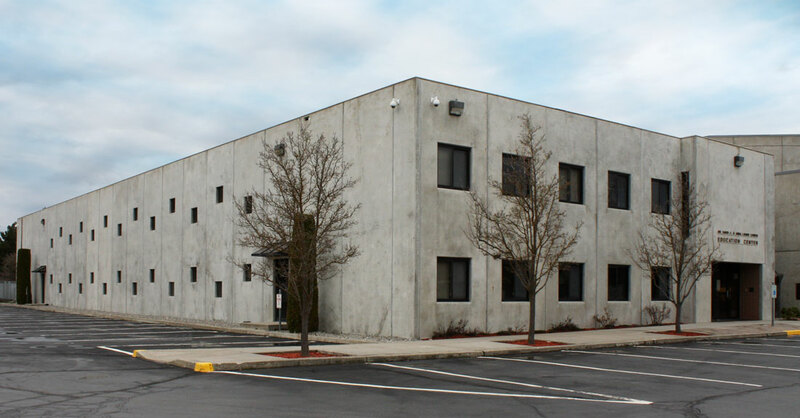 Often seen in civic and educational structures and complexes, it’s known for its paucity of window openings and other features, thus leading to criticism for its lack of traditional urban design qualities. (Articulation is often achieved by the contrast of solids and voids, rather than conventional openings.) The style has its roots in England, particularly in the work of Alison and Peter Smithson; the name refers to the French phrase “Beton Brut,” or raw concrete. 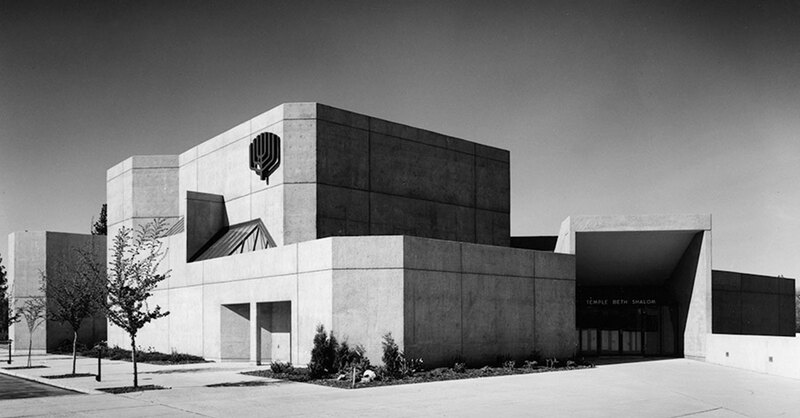 Temple Beth Shalom was designed by Walker & McGough. 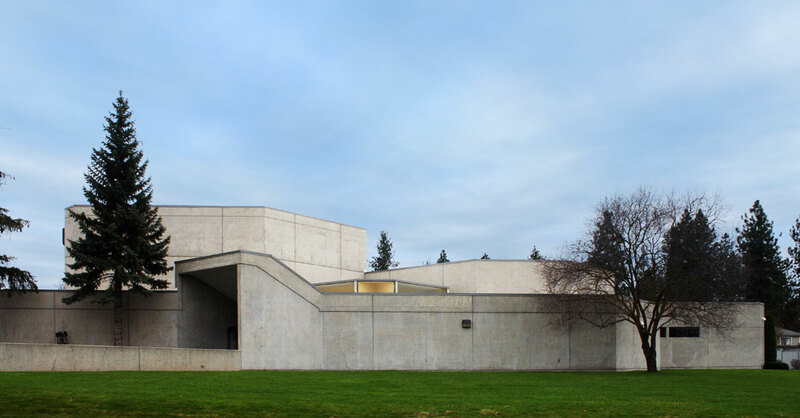 Established in Spokane in 1953, the firm received national awards for design excellence from the AIA in 1959 and 1969. 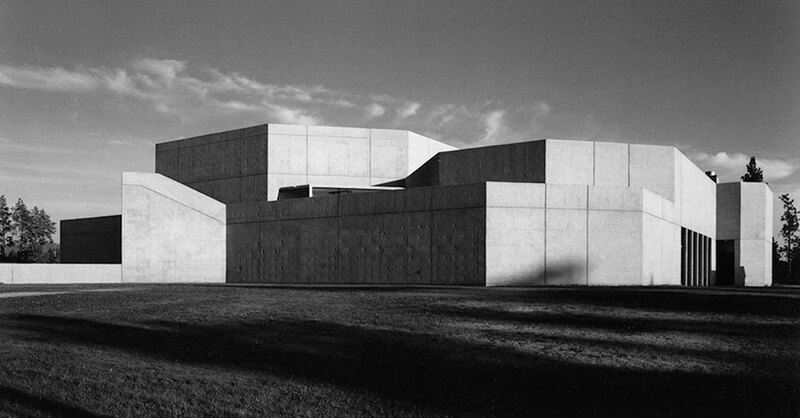 Its work was included twice in Progressive Architecture’s annual review of American architecture (in 1967 and 1969); its 1969 Farm Credit Bank project was featured in the German journal Baumeister. Walker & McGough’s residential work was also featured extensively in a number of design textbooks, including Inside Today’s Home by Ray and Sarah Faulkner and The Art of Interior Design: A Text in the Aesthetics of Interior Design by Victoria Kloss Ball. The firm continues today, with offices in Spokane and Seattle, as Integrus Architecture.